October 30, 2017 Consultation, NewsR.C. The Outer Green Belt is a network of public parks and open spaces extending from Tawa in the north all the way south to the Brooklyn turbine and the coast below. It is an enormous area and the current Management Plan outlines the key values of the reserves and guides how the Council will manage and maintain the various spaces and places. See this attached letter for details of the review, dates of drop-in meetings , and how you can have your say. There is also a short online survey where you can quickly and easily give the Council your thoughts – responses by 24th November please. October 30, 2017 Local Events, Meetings, NewsR.C. We are inviting you to meet the Southern Ward By-election Candidates. This Meeting is at St Anne’s Hall, Emmett St, at 7.30pm on Tuesday 14th November – the doors open at 7.10pm and the meeting will start promptly at 7.30. Vicki Greco, Mohamud Mohamed, Don Newt McDonald, Laurie Foon, Fleur Fitzsimons, Rob Goulden, Thomas G P Morgan and Merio Marsters. They have all been invited, and we hope all will be there. Hear their reasons why you should vote for them, their responses to ‘hot topics’ and their answers to questions from the floor. Supper is provided, so after hearing the formal presentations you can talk informally over a cuppa and a snack. Postal voting is between 30th November and 22nd December. October 30, 2017 Consultation, Meetings, NewsR.C. These are brief notes of the topics discussed, but you can see the full minutes here. Liquor license applications, and similar issues. Discussed an application to establish an off-licence called The Black Bull at 236 Riddiford Street – the current Silk Route Spices site on the corner of Gordon Place. We are waiting for the next moves in the Zoo Bar licence application – our Association objected to the extended hours requested. Newtown has a liquor ban in force but there aren’t many signs about the ban – we will ask Ray Tuffin (WCC Liaison Officer) to look into this. The Security Guard at the Library has been keeping an eye on people drinking or causing concern around the Library and on the corner with Riddiford St – the meeting expressed our appreciation for this. The WCC officers’ opinion is that the Club should not get a new lease because “the current circumstances of the club do not meet the Assessment Criteria” under the Town Belt Management Plan. We think that the Club is a valuable community resource, and want to support them to increase their community connections. The Club had a very successful open day on Sunday 15th October, which increased membership significantly. They have a lot of community support. Discussion of the By-Election prompted expressions of appreciation for the work Paul Eagle did in representing Newtown on Council. A motion thanking Paul for his contribution and welcoming him as our new MP was passed unanimously and enthusiastically. It is time to apply for a WCC grant if we want to have a Neighbours’ Day function. Last year we provided an evening of activities in Newtown Park. We agreed to plan to repeat this next year. Car parking in Newtown is already very difficult and is going to get worse next year. The new children’s hospital will take away a lot of hospital parking – and hospital staff parking on surrounding streets is already causing major problems. Ray Tuffin at Kia Ora gets numerous complaints about parking issues, and is initiating a major project exploring parking options. Next month’s meeting is on Monday 20th November. We expect to designate this a Special General Meeting, and to present the Annual Accounts. September 12, 2017 Meetings, NewsR.C. The Newtown Residents’ Association Annual General Meeting will be on Monday 18th Sept 7.30 pm, at the Newtown Community Hall, 71 Daniell St.
See here for the Presidents’ Report and here for the Draft Minutes of the 2016 AGM. This meeting is when we elect the Association Officers and other Executive members for 2017-2018, discuss the year’s activities and plan for the future. We would like to hear from people interested in joining the Executive. The President (Rhona Carson) and Treasurer (Jane Patterson) are standing for re-election, but we haven’t had any nominations yet for Secretary, so if you might be interested and your skills lend themselves to writing items for our Newsletter and this Website and similar tasks do get in touch to have a chat about it! Nominees and nominators for the Executive need to be financial members of the Association, if you haven’t paid your subscription yet you can join at the start of the meeting. The other main business for the 2017 AGM is the handover of responsibility for the Newtown Festival to the Newtown Festival Trust. The Trust has been established and has been accepted by Charities Services as a Charitable Trust. Resolutions approving the handover will be voted on at the meeting. The history of the history! The Wellington South Licensing Trust was established in 1972, ceased to operate in 1998, and was wound up in 2001. Its final act was to give a grant to the Newtown Residents’ Association to fund a history of the Trust. This was started, but time passed, people moved on, and the early efforts were lost. In 2012 Steve Dunn, who was then the Association President, undertook the task of reviving the History. He commissioned historian and Association member Peter Cooke to make a fresh start. Peter accessed some documents from the National Archives, most importantly a list of the Trustees. He then taped intervews with the 12 of them he was able to contact and who agreed, and typed up transcripts. One of the trustees, John Gilberthorpe, was able to provide some publicity material and photographs from the 1970s. Next, the material was passed on to Tony Pritchard to prepare a document that could be posted on our website. Tony wrote a short beginning-to-end history, with a little bit of the opinion and conjecture from the interviews. He also listened to the interviews, edited the transcripts, and produced a very lively story, which we have now published and recommend for your reading pleasure! Many thanks to Steve, Peter and Tony for keeping the project alive and bringing it to a conclusion, and also to the Trustees for the original grant and for their cooperation in recalling and recording the stories of the Trust. We have created a new page for Local History, where you will find this account. August 28, 2017 Consultation, NewsR.C. Please make sure your thoughts about Newtown are included – you can do the questionnaire on line, or get a paper copy from Kia Ora Newtown at 6 Constable St, the Newtown Community and Cultural centre or the Newtown Library. When all the responses are in Cally O’Neill, the project designer and facilitator, can get to work on analysing the results. See more about the Our Town Newtown project here. August 25, 2017 Meetings, NewsR.C. Recently granted funding means they can build and circulate more traps. Contact them (mailto:predatorfreemcn@gmail.com) to either pick up a free trap, or buy a ‘fancy’ trap at a discounted price. There are currently 80 traps in Newtown, and more than 300 rats have been caught, but more are needed for good coverage. Sponsors are Kiwibank (funding – National Predator-Free trust), Forest and Bird have loaned traps, Placemakers Kilbirnie have donated wood. Volunteers are needed for building traps – working bee at 40A Wright Street, Mt Cook 1:00pm – 5:00pm Sunday 3 September. It would be good to hear from anyone able and willing to coordinate extending the Predator Free project to Berhampore. The Saturday 19th August ‘Shine a light on Newtown’ event had smallish attendance but achieved a good deal in sorting through ideas which have been put forward. This includes an online map of Newtown where people can make comments about facilities, and has a link to the project questionnaire. Responses to the questionnaire need to be in by the end of August. August 20, 2017 Local Events, NewsR.C. Our next big Newtown clean-up is the first Saturday in September. Can you help? We will meet outside the Newtown Mall between 9am and 12noon – wear your old clothes, all equipment is provided. There will be painting, cleaning and gardening to do, BBQ cooking to help with – and Timebank credits to earn, if you are a Timebank member. Volunteers get free BBQ sausages, thanks to Newtown New World – and sausages are for sale too, so you are welcome to come just to say “hello” and buy one! Halal sausages are available. KNC is coordinated by Newtown Residents’ Association and supported by SB Maintenance (the amazing graffiti removal experts), Newtown New World, Wellington City Council, and Amadeus Hair Salon. August 20, 2017 Meetings, NewsR.C. 7.30pm at the Newtown Hall, 71 Daniell St.
August 7, 2017 Local Events, Meetings, NewsR.C. We are holding a Meet the Candidates Meeting for the Rongotai Electorate on Tuesday September 5th at St Anne’s Hall, Emmett St, Newtown. The doors open at 7.10pm, and the meeting will start promptly at 7.30pm. Patrick Morgan will be in the chair. The formal presentations, questions and answers will be followed by supper and time for informal chats – we do a good supper! Election Day is Saturday September 23rd, but advance voting opens on Monday September 11th and you can vote from then on. 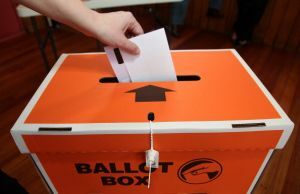 Come along the week before and hear what the candidates for our electorate have to say. Are you enrolled to vote? If not, you can do this any time up until September 22nd – find out how here. There are more then 5500 people of voting age in our electorate who aren’t enrolled – if you are one of them, now’s your chance to change that and to make this the election when you have your say! July 27, 2017 Meetings, NewsR.C. Association Membership The financial year runs from July 1st to June 30th, so memberships need renewing now. Everyone is welcome to come to meetings – members and non-members. The difference is that members can vote and can stand for office at the AGM. It is also a great way of showing support for the work of the Association. The fee is still a gold coin, which can be paid at any Association meeting (the next meeting is on August 21st). Email us if you would like to join but can’t get to the meeting. Progress on Newtown Festival Trust Forming a Trust to run the Festival has been under discussion for several years, and the Association passed a motion in February asking for this to be expedited. The Newtown Festival Trust has now been established, with Anna Kemble Welch and James Coyle as foundation trustees. The intention is to bring three more trustees on board in the near future, and we are very pleased that Ian McKinnon has agreed to be one of these three. An application for charitable status has been lodged with Charities Services. When all five trustees have been appointed and Charitable Status has been granted the Newtown Residents’ Association will be asked to pass a resolution to hand over responsibility for the Newtown Festival to the Trust. We are very grateful to the lawyers, Chapman Tripp, who have been advising us and doing the necessary legal work on a ‘pro bono’ basis. Carrara Park gardens Lachie (Lachlan Marshall, the local Salvation Army officer) outlined how he and some Church associates became involved with maintaining the Park. They have been there every Tuesday morning since 6 May. He has been consulting with Linnéa Lindstroem, who was one of the founders of the Newtown Community Gardens group, Martin Hanley and Rhona Carson and others from the Association – our Association holds the lease to use the garden beds. Linnéa is willing and able to coordinate revitalising the Community Gardens, and there are ideas for raised garden beds (part of the original plans), and ideas for composting. A Council grant will fund materials for the garden beds. Ray Tuffin (WCC Liaison Officer) has had inquiries from childcare centres and older people for garden spaces to maintain. Matariki event in Carrara Park – Saturday 29 July The Russian Orthodox Community are hosting this event, and have been consulting the Newtown Festival Office about logistics. People from a local Kohanga Reo have also been involved in the planning. Residents parking on Constable Street A Constable St resident introduced this topic, outlining the extreme pressure on parking in this area. WCC have been approached about the possibility of Residents Parking – if this was implemented it would only be possible on one side of the street. The situation in Colombo St, where there is residents parking combined with time limited parking for non-residents, was described – this has been very successful. The discussion covered parking issues in Newtown generally, including the continuing concerns about how the proposed Mary Potter apartments might increase parking demand. Cleaning up the Town Belt vegetation One of our members noted the amount of introduced weeds on parts of the Town Belt and asked if there would be interest in a working bee to remove them. It was noted that they would need to be replaced with suitable planting. We would need to consult with WCC, but it was thought that a working bee could be possible if this was approved. Monday August 21st, 7.30pm at the Newtown Hall, 71 Daniell St. Please email if you have suggestions of items for the agenda. July 18, 2017 Consultation, NewsR.C. In February the Residents’ Association had a presentation from the Wellington Water Project Director Ulvi Salayev about the plans for the Prince of Wales reservoir. See more about the plans here. In our submission we are mindful of the need for mitigation of the effects of construction, but the main message is that we are keen to have an emergency water supply as soon as possible. There has been some discussion about whether there is any option for changing the location of the reservoir, but our conclusion was that we didn’t want to pursue this. Wellington Water did identify 4 options, but on analysing them decided that the current site is the most suitable. This seems to be a pretty fixed decision and overturning it seems likely to be an enormous task – and then, if successful, going back to the drawing board and redoing all the calculations and studies and consultation, applying for new consents etc. It would surely add years to the process. July 14, 2017 Meetings, NewsR.C. Notes from the Association Meeting on Monday 19th June 2017. Daran Ponter, from the Greater Wellington Regional Council, was the guest speaker, telling us about the new bus services which will be operating from 2018. Full details of all changes and affected routes can be found here, or pick up a brochure about Newtown services from Kia Ora Newtown. The aim is to increase capacity without putting more buses onto congested roads. The changes will involve higher capacity buses and simplified routes. The ‘spoke and hub’ model that was originally proposed has been modified, and the routes are now much more straightforward. Good news for University students is that their voices have been heard and the number 18 service will be retained at peak hours. People at the meeting asked about the decision to replace the trolley buses before the promised electric buses are available. Daran explained the decision for replacement was made in 2015. It wasn’t unanimous but the majority ruled. The work has already been delayed, and it isn’t practical to keep putting it off. There was also interest in the prospects for light rail, and Daran confirmed that ‘Let’s get Welly moving’ has reinvigorated the discussion. The submission is due on 17th July. We discussed that the Association would make a submission that recognises the need for an emergency water supply. However the construction will have a significant impact on local residents, and we agreed that our submission will emphasise the need for mitigation of the effects of this, and also the need to protect the environment, in particular the Waitangi Stream tributary and the Papawai stream. June 16, 2017 Meetings, NewsR.C. The Agenda will include a presentation about Wellington’s new bus service, starting in 2018. What does this mean for Newtown? Come and find out! The speaker is Daran Ponter from the Greater Wellington Regional Council. We will also discuss what might be said in a submission from the Association about the Prince of Wales/Omāroro Reservoir. The meeting will be in the Newtown Hall, 71 Daniell St. All welcome!